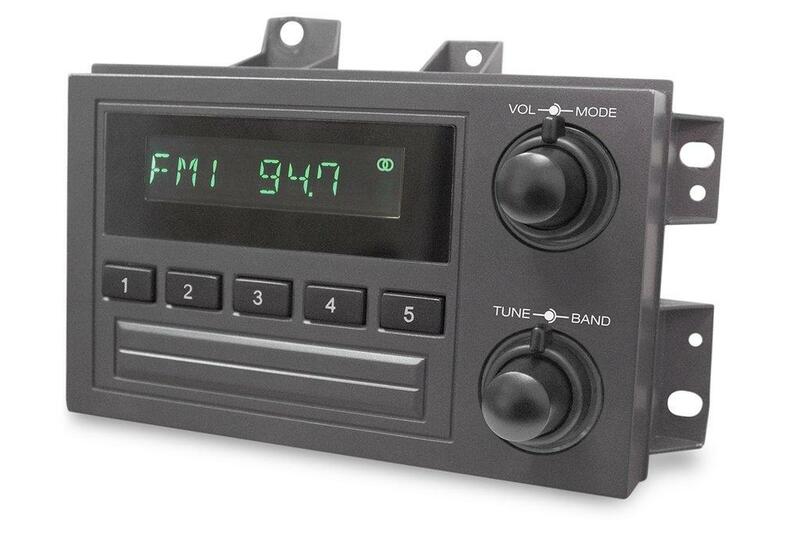 RetroSound®'s Santa Cruz is the first and only radio ever designed specifically for 1988-94 GM trucks and features an OE-style appearance for seamless integration into your truck. Santa Cruz is a full-featured radio, with Made-For-iPod®/iPhone® compatibility and built-in Bluetooth® for hands-free calling and wireless audio streaming — and features Bluetooth® Music Browsing. Santa Cruz is SiriusXM-Ready™ and connects to the SiriusXM SXV300 Connect Vehicle Tuner (sold separately, subscription required) without the need for special adapters. A powerful 25 watts RMS x 4 channel amplifier is built in, and RCA pre-outs – plus subwoofer output – are provided for adding external amplifiers. Santa Cruz has a 32,000 color display allowing it to be customized to match your vehicle’s interior. Two USB inputs for iPod®/iPhone® or USB flash drives and two standard auxiliary inputs provide plenty of flexibility and allows playback of WMA, MP3 or FLAC files.